As from 24 Mar 2019, the "High Island & East Dam Boat/Hiking Tour" will be suspended until further notice. Sorry for any inconvenience caused. 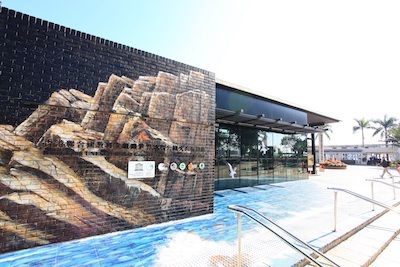 The Volcano Discovery Centre (VDC) was established by the Agriculture, Fisheries and Conservation Department and is operated by the Sai Kung District Community Centre. it is located in Sai Kung Waterfront Park and is easily accessible by public transport. 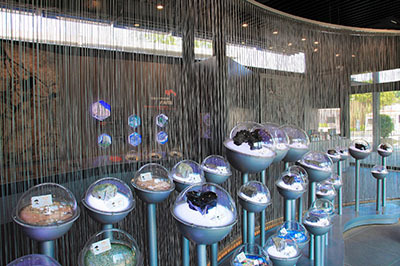 The VDC shows the formation of Hong Kong’s unique hexagonal rock columns, as well as others around the world. 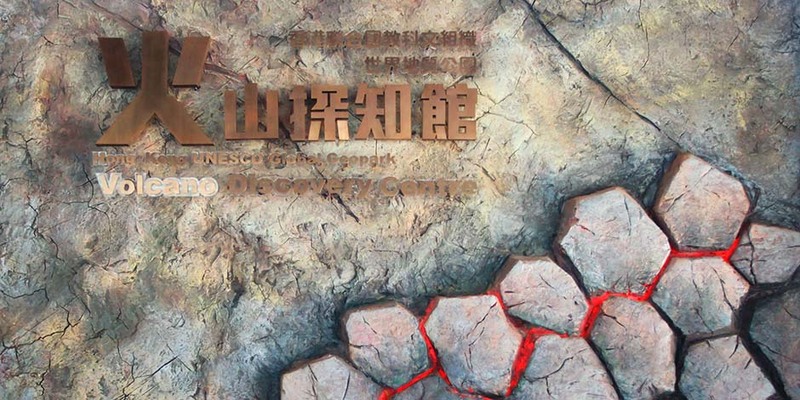 It provides basic information about volcanology, volcano structure, volcanic eruptions and related geological knowledge, and introduces the features of the geosites in Hong Kong Geopark. The VDC provides free guided tours of the Centre, for which members of the public can register. 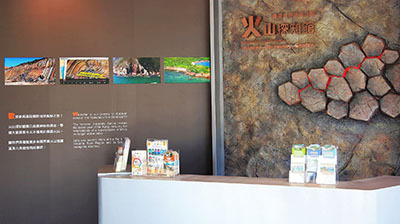 To facilitate your visit to Hong Kong Geopark, the VDC offers one-stop registration for the various Geopark Guided Tours to fit different needs and enrich the geopark experience of every visitor. 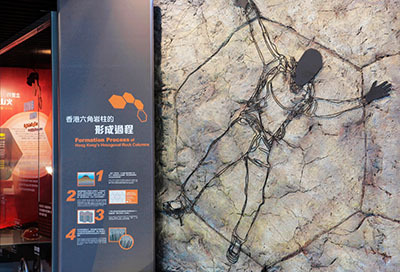 Hong Kong today is blessed to be in a stable zone with no live volcanos, but it was a complete different story 140 million years ago, when the area that is now Hong Kong experienced the massive eruption of a supervolcano. Although it was destructive at the time, it also created the magnificent rock wonders such as the hexagonal rock columns in Sai Kung that we see today. 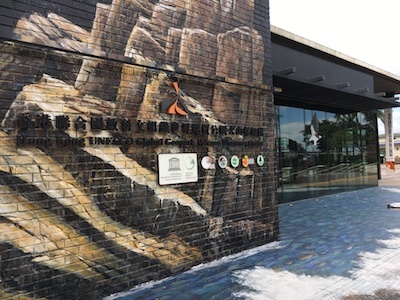 The goal of the VDC is to share the interesting but little-known geological history of Hong Kong with both Hong Kong residents and visitors. 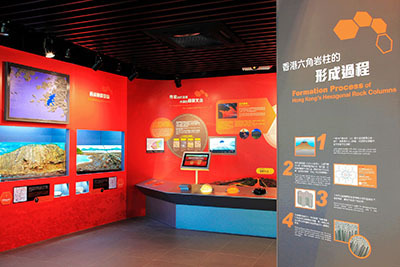 In addition to enhancing science popularisation, the VDC is the gateway to Hong Kong Geopark. The VDC is located in downtown Sai Kung and can be reached conveniently by public transport. 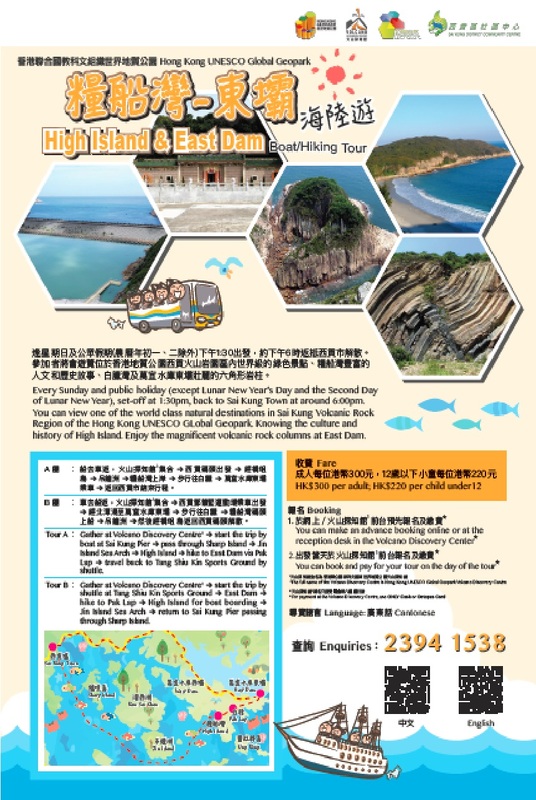 It is situated in the vicinity of the Sai Kung Public Pier, which makes it the perfect starting point for visitors to Hong Kong Geopark. 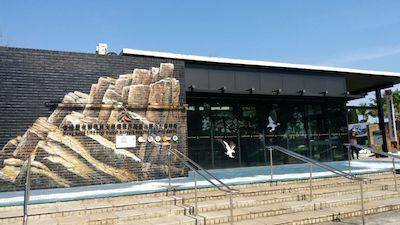 The VDC is also an official visitor centre, which provides a wide range of visitor information in Cantonese, Putonghua and English, including advice on the best geopark routes for different groups or individuals. 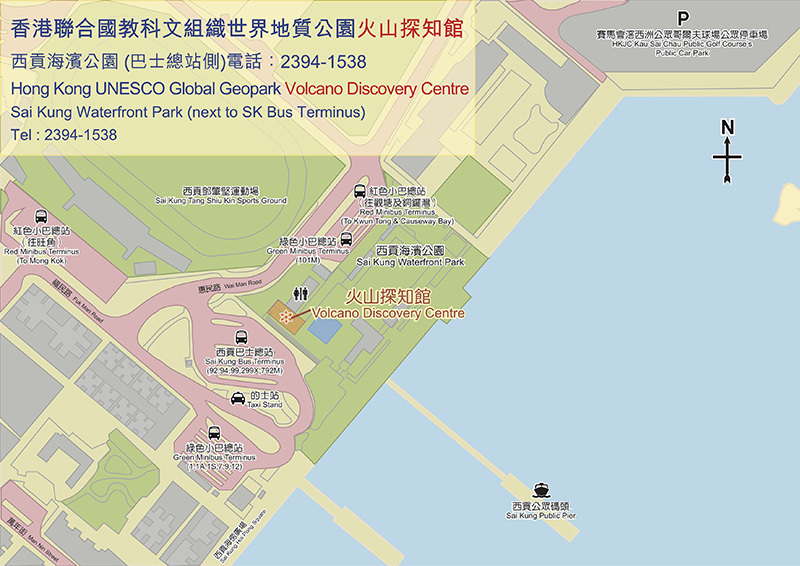 Take the following public transports and get off at Sai Kung minibus/ bus terminal. Then walk to Volcano Discovery Centre. (i) Minibus No. 101M which runs between Hang Hau MTR station and Sai Kung.